Campaigning for the 2019 elections has been so lackluster that one cannot but be nostalgic about the robustness, dynamism and clarity of the campaigns in the first, second and probably third republics. In contrast, the current campaigns, launched on Nov. 18 2018, lack pomp, perhaps reflecting today’s financial crunch. But the lack of punch is manifestly a mark of the candidates’ ideological deficiency. Without any solid ideas to bring into the campaign, they resort to mud-slinging, name calling, religious and ethnic bigotry. This stratagem has left voters more confused than they were when politicians went on the hustings Nov. 18. Today, only 12 days to the presidential election, the campaign has assumed the fearsome tone of a war drumbeat. Now people are not just confused, they are also being made to vote with their feet. Many are already leaving their current bases for their states of origin where they feel they will be safer. Changing base ahead of an election is not new in Nigeria. However, the drum of war that Mr. Uche Secondus, national chairman of the opposition Peoples Democratic Party (PDP), beat Thursday Jan. 31 during a rally in Delta state must frighten even the most optimistic among us. Addressing the party faithful, Secondus warned that rigging of the 2019 elections would be “an invitation to war”. 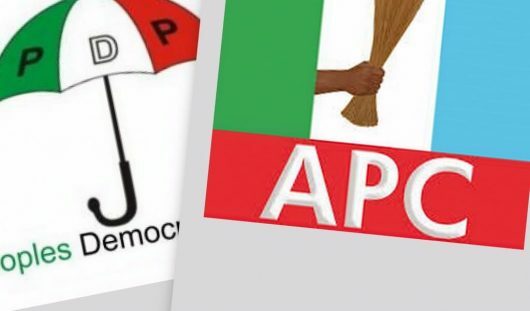 He asked the Independent National Electoral Commission (INEC) to resist being used by the ruling All Progressives Congress (APC) to rig the poll. “Today, we warn INEC and we believe there are good people in INEC. We know that government is pressurizing INEC to rig this election. If they rig this election, they are looking for war. If they want peace, they should not rig this election.” He gave a similar warning to security agencies “not to collude with” the electoral umpire to rig the election to prevent unrest in the country. “We know there are good people there, protecting life and property. We believe that they would obey the Constitution, not break it like Mr. President (who) is breaking our laws. If they break it, what are they looking for? War”. We at Peoples Daily abhor this negative campaigning by a party that describes itself as the “biggest in Africa”, one that hopes to return to power after losing it in 2015 – the first time since 1999. Firstly, it is a slur on Nigeria because PDP does not believe the country is capable of conducting a credible poll. Secondly, it is self-indicting. If in the 16 years it was in power the party did not bequeath a credible electoral process, who is to blame but itself? Thirdly, the war threat is capable of disadvantaging the party by disenfranchising many of its supporters who may have abandoned base for fear of violence. Elections should not be a do-or-die matter. Offering oneself to serve the fatherland should not be an excuse to incite violence. We have seen what this win or kill mentality did to the country in the recent past. We must not return to that ugly past. Everything must be done within the ambit of legality and constitutionalism. If you don’t have faith in the election body, the law offers an ample opportunity to seek redress. Let nobody resort to self- help.